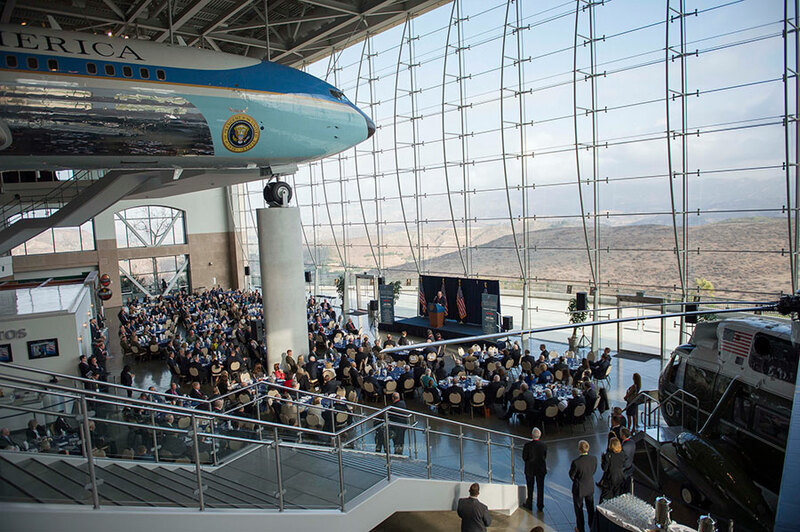 Image of a previous defense policy forum at the Ronald Reagan Presidential Library. Innovation will be a central focus of the annual Reagan National Defense Forum on Saturday at the Ronald Reagan Presidential Library in Simi Valley, California. With the overarching theme of “peace through strength in an era of competition,” this year’s forum includes sessions on technological competition with China, recruiting highly skilled workers into the defense industrial base, engaging with Silicon Valley, and lessons learned from President Reagan’s Strategic Defense Initiative. Several top officials from the Defense Department and Congress are speaking at the event, including Defense Secretary Jim Mattis and leaders of the House Armed Services Committee. The Senate Energy and Natural Resources Committee is meeting Thursday to consider fourteen energy policy bills. One of them is the bipartisan “IMPACT for Energy Act,” which would direct Department of Energy to establish an independent nonprofit foundation that could accept funding from private entities and channel it into energy innovation initiatives. Another is the recently introduced, bipartisan "Nuclear Energy Leadership Act", which would direct DOE to carry out at least four demonstrations of advanced reactor concepts, among other provisions. The committee will also consider the “Advancing Grid Storage Act,” a Democrat-backed bill that would direct DOE to promote grid-scale energy storage by establishing a cross-department R&D program, a technical assistance program, and a grant program for demonstration and deployment projects. On Tuesday, the House is scheduled to vote on the “National Earthquake Hazards Reduction Program Reauthorization Act.” Sponsored by Sens. Dianne Feinstein (D-CA) and Lisa Murkowski (R-AK), the bill calls for improved earthquake monitoring and early warning capabilities and directs agencies to assess earthquake risk reduction efforts to protect vulnerable infrastructure. The House will also consider the “Women in Aerospace Education Act,” which is sponsored by outgoing Rep. Steve Knight (R-CA) and aims to strengthen the aerospace workforce pipeline by promoting internship and fellowship opportunities for women in STEM fields. The House already passed the bill one year ago and the Senate passed an amended version in September. If the House approves the two bills as expected, they will proceed to President Trump for his signature. On Thursday, President Trump’s nominee for principal deputy administrator of the National Nuclear Security Administration, William Bookless, will appear before the Senate Armed Services Committee. After receiving his doctorate in physics from the University of Wyoming in 1980, Bookless spent most of his career working in the nuclear weapons program at Lawrence Livermore National Laboratory. Once confirmed, Bookless would rejoin his former Livermore colleague Charles Verdon, whom the Senate confirmed in September as NNSA’s deputy administrator for defense programs. The advisory committee for high energy physics (HEP) programs at the Department of Energy and National Science Foundation is meeting Thursday and Friday. Following updates from DOE and NSF officials, Thursday afternoon is dedicated to presentations on quantum information science and its relevance to HEP. On Friday, there will be presentations on the cultural climate in academic research, applications of atomic, molecular, and optical physics to HEP, and the recent DOE-sponsored basic research needs workshops on dark matter and microelectronics. The National Academies Board on Physics and Astronomy is holding its fall meeting Wednesday and Thursday in Irvine, California. In addition to receiving updates from its standing committees, on Wednesday the board will receive a briefing on the recent National Academies report supporting the science case for an electron-ion collider. On Thursday, the board will hear presentations on current research and federal initiatives in quantum information science. The National Academies Board on Atmospheric Sciences and Climate convenes this week for its fall meeting. In an open session Thursday, the board will discuss opportunities for sub-orbital facilities to support atmospheric and climate research as well as efforts to advance understanding and forecasting of the air quality impacts of wildfires. On Friday, the board will host a joint session with the Water Science and Technology Board to discuss subseasonal-to-seasonal forecasting and applications for decision making. NASA’s Mars InSight mission successfully landed on the Red Planet on Monday, bringing its half-year journey from Earth to a close. It now begins a two-year mission to conduct measurements of the planet’s internal geological activity. Selected through the NASA Planetary Science Division’s Discovery program in 2012, the mission experienced a costly two-year delay during its development, and its total cost is currently projected to be $856 million. InSight was accompanied during its journey by Mars Cube One (MarCO), a pair of CubeSats built to demonstrate the use of small-scale spacecraft for deep space missions. MarCO is now wrapping up its mission, having successfully relayed signals sent from InSight on the Martian surface back to Earth. 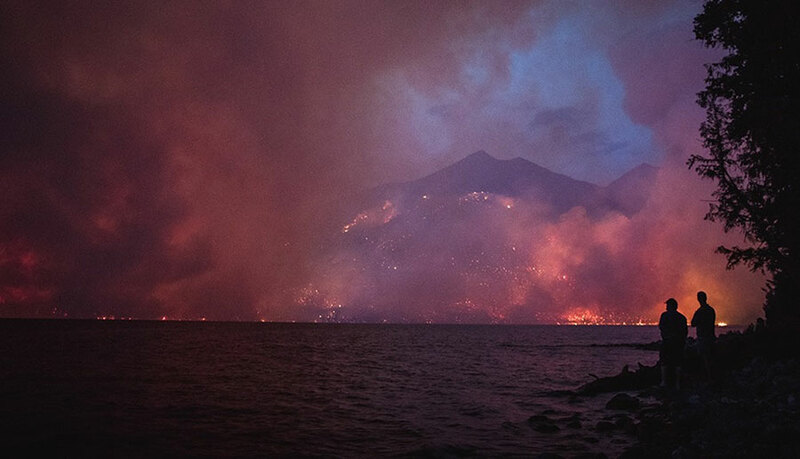 The cover of the Fourth National Climate Assessment shows the August 2018 Howe Ridge Fire in Glacier National Park in Montana. On Nov. 23, the Trump administration released Volume II of the Fourth National Climate Assessment, the latest in a series of congressionally mandated reports to document and project the impacts of climate change on the United States. The report was assembled by more than 300 authors from federal agencies, industry, universities, and other research institutions. Volume I, which assesses the science of climate change, was released in November 2017. Although some authors of the assessment have said the administration did not attempt to alter their findings, the report’s release the day after the Thanksgiving holiday and weeks ahead of schedule has led many to infer the administration sought to minimize its impact. The White House and President Trump have sought to portray the report as flawed. A White House spokesperson asserted it is “largely based on the most extreme scenario” — a claim rejected by Katharine Hayhoe, one of the authors of the relevant section. The spokesperson also said the next assessment cycle will provide an opportunity for a “more transparent and data-driven process that includes fuller information on the range of potential scenarios and outcomes.” Asked by reporters about the report, Trump replied, “I’ve seen it. I’ve read some of it, and it’s fine,” but pressed on its assertions about the damage climate change will cause to the U.S. economy, he replied, “I don’t believe it.” Rep. Eddie Bernice Johnson (D-TX), the likely incoming chair of the House Science Committee, issued a statement highlighting the report’s findings, saying it underscores why addressing climate change will be one of her top priorities in the next Congress. The ranking members of three House committees issued a joint statement on Nov. 14 declaring that after Democrats take over House leadership in January they plan to hold a series of hearings “to aggressively assess the public health, economic and environmental impacts of climate change and to explore the best solutions to combat this challenge.” One of the three, Energy and Commerce Committee Ranking Member Frank Pallone (D-NJ), has also sent a letter to EPA on Nov. 20 about its actions to “roll back policies to reduce greenhouse gas emissions and address our changing climate.” The letter requests information on the agency’s moves to reverse the Obama administration’s Clean Power Plan and regulations on vehicle fuel efficiency standards and methane emission monitoring in the oil and gas industry. Shortly after this month’s midterm election, current House Minority Leader Nancy Pelosi (D-CA) said that as House speaker she would like to reinstate a special committee dedicated to climate change, but some committee leaders, including Pallone, have argued such a body is unnecessary. On Nov. 16, President Trump said he plans to nominate Acting EPA Administrator Andrew Wheeler to lead the agency. The Senate confirmed Wheeler as deputy administrator in April on a mostly party-line vote, and he stepped into the administrator’s job after Scott Pruitt resigned in July. To date, Wheeler has continued to implement the administration’s deregulatory agenda. In October, he moved to disband EPA’s Particulate Matter and Ozone Review Panels and is overseeing a planned reorganization that will fold the Office of the Science Advisor, which reports directly to the administrator, into a lower-level office. Wheeler has delayed finalizing a controversial proposal to restrict the agency’s use of scientific studies for which data is not publicly available, although he has said he does plan to implement it. On Tuesday, the Senate Energy and Natural Resources Committee advanced President Trump’s nomination of Rita Baranwal to lead the Department of Energy’s Office of Nuclear Energy. At her confirmation hearing on Nov. 15, Baranwal pointed to her more than 20 years of experience in the nuclear industry as her qualification for the position. Responding to committee members’ questions, she expressed support for leveraging innovative technologies from outside the nuclear industry, investigating the potential for a domestic source of high-assay low enriched uranium, and developing small modular reactors for deployment in remote locations. On Nov. 21, NSF issued its first cross-agency solicitation for mid-scale research infrastructure (RI) projects costing from $6 million to $20 million. NSF plans to issue a second solicitation for projects in the range of $20 million to $70 million. The solicitation release follows a request for information NSF issued last year that identified significant demand across disciplines for mid-scale RI, with the most responses across the agency’s seven directorates associated with the Math and Physical Sciences Directorate. At a meeting of the directorate’s advisory committee this month, NSF provided an overview of mid-scale RI programs and projects currently funded by the directorate and said the agency-wide program will complement, not replace, current directorate-level efforts. Sen. Bill Nelson (D-FL) conceded defeat to Florida Governor Rick Scott (R) on Nov. 18 following a manual recount in his close race for reelection. Nelson’s loss leaves the top Democratic position on the Senate Commerce, Science, and Transportation Committee open. Sen. Maria Cantwell (D-WA) is next in line for the seat, though to take it she would have to step aside as ranking member of the Senate Energy and Natural Resources Committee. Throughout his political career, Nelson has been a major advocate for NASA and in 1986, when he was a congressman, he flew on a mission on the space shuttle Columbia. During the Trump administration, he led a months-long opposition to the nomination of NASA Administrator Jim Bridenstine and has backed legislation that would reinforce federal agencies’ scientific integrity policies. The launch of NASA’s Ionospheric Connection Explorer (ICON) satellite has been delayed indefinitely after “off-nominal data” were observed on its Pegasus XL rocket prior to a Nov. 7 launch attempt. To investigate the problem, NASA and its contractor Northrop Grumman have decided to fly the rocket from its launch site at Cape Canaveral Air Force Station in Florida back to its integration facility at Vandenberg Air Force Base in California. The rocket also caused previous launch delays dating back to last year. NASA reports that the ICON spacecraft itself is in good condition. Once in orbit, it will undertake a two-year mission to investigate the boundary region between the Earth’s atmosphere and space. All times are Eastern Standard Time and all congressional hearings are webcast, unless otherwise noted. CSIS: "China's Power: Up for Debate"
The National Science Policy Network and the Journal of Science Policy and Governance, both student-run organizations, have launched a policy memo writing competition for early career scientists. Memos can be submitted on any topic by teams of at least three individuals that are members of a science policy group. The top three entries will receive monetary awards that will go toward their group’s budget. Submissions are due March 1, 2019. The Association of American Universities is accepting applications for an assistant vice president for federal relations. The role involves monitoring research policy and funding for the Department of Defense’s S&T programs and the Department of Energy Office of Science, among other responsibilities. Applications are due Dec. 5. The National Academies is accepting applications for an entry-level research assistant position in its Air Force Studies Board. The role primarily entails research and writing in support of board projects. Applicants that have four years of related experience and the ability to obtain a security clearance are preferred.